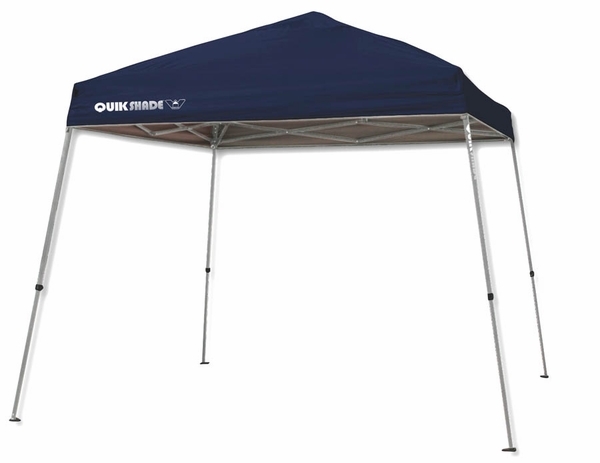 The Instant Canopy Tent is 12 x 12 and is supported be a one piece, powdered coated steel frame. The top is Aluminex backed polyester. It blocks 100% of the harmful UV rays so you need not worry about being exposed to the sun. The height is adjustable and the package comes with anchor stakes. The roller bag allows you easily transport and store the canopy tent. It gets set up and taken down quickly and easily. 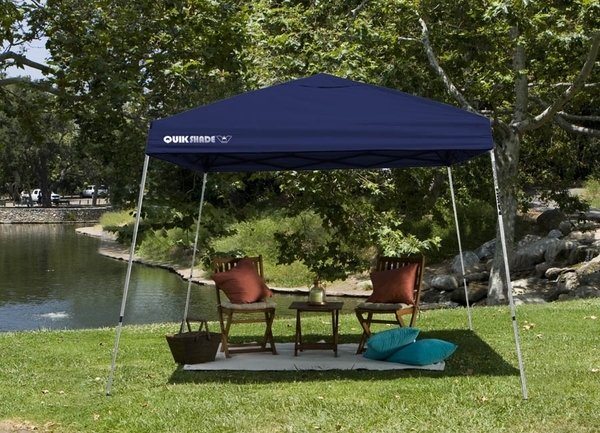 Can this canopy be customized with a logo? Unfortunately, we cannot customize this item. We can do custom graphics on Caravan, KD Kanopy, Ohenry, Eureka and Celina brand items. You can fill out the form at the following link and upload your logo for a free quote: Canopy Custom Graphics Quote Request Form. How long can this canopy be set up for? Can it stay up for a long period of time without problems? Or should I take it down between uses? It is intended as a temporary shelter and should be taken down when not attended. The materials for this easy up seem to be of high quality. My difficulty with it, however, is that I strained my back significantly in trying to push up the corners on the frame. I have had difficulty pushing these corners up several times in set up. It was anything but "easy." Right out of the box it was quick and easy used for my sons track meet. Better than an umbrella at the beach! We took the canopy to the shore and put it up for the first time. It took us less than 5 minutes to figure it out and put it up. It was great. ProsIt had wheels and went up quickly. ConsIt had wheels but the wheels didn't work in the sand.